I'm currently working on a crocheted version of the Misti Brioche Honeycomb Sweater and as I was making swatches of different crocheted stitches, namely the Back Loop Single Crochet I thought this would make a nice cowl. 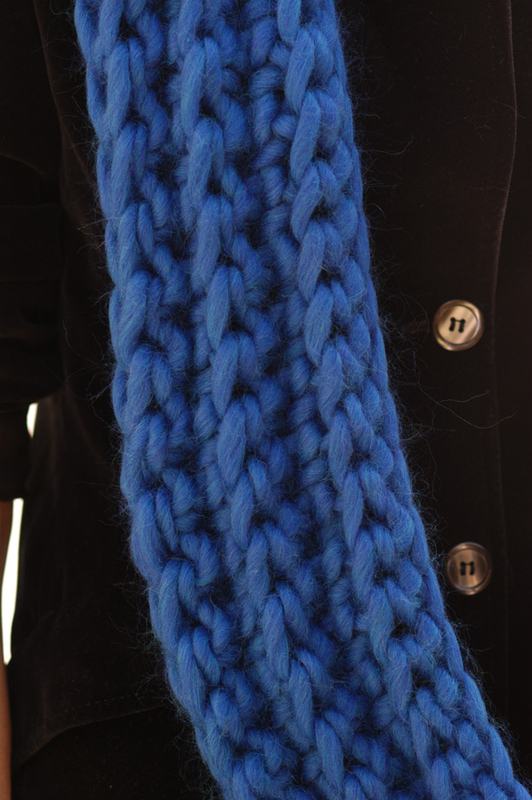 I was going to make a short cowl not another infinity scarf but when I started playing around with the stitch pattern directionally, déjà vu! This looked too familiar and as that rarely seems to happen between knitting & crochet I couldn't resist. This can be worked over any number of stitches. Chain 62 on the tight side. 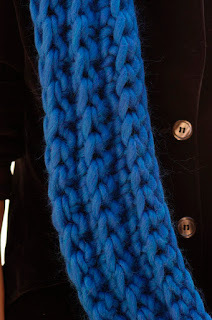 This will pull the scarf in and make it lay nicely when finished. Row 1: 1 SC in 2nd ch from hook, 1 SC in each ch to end, turn. Row 2: 1 CH, skip first sc, 1 SC in back loop of each sc, ending 1 SC in 1 ch, turn. Repeat Row 2 (7 times) or until piece measures 14cm/5.5". Weave in ends, wear & enjoy! Finished measurements measured flat: @14cm X 61-137cm or 5.5" x 24-60"
Work pattern for at least 61cm(24") for a shorter cowl. 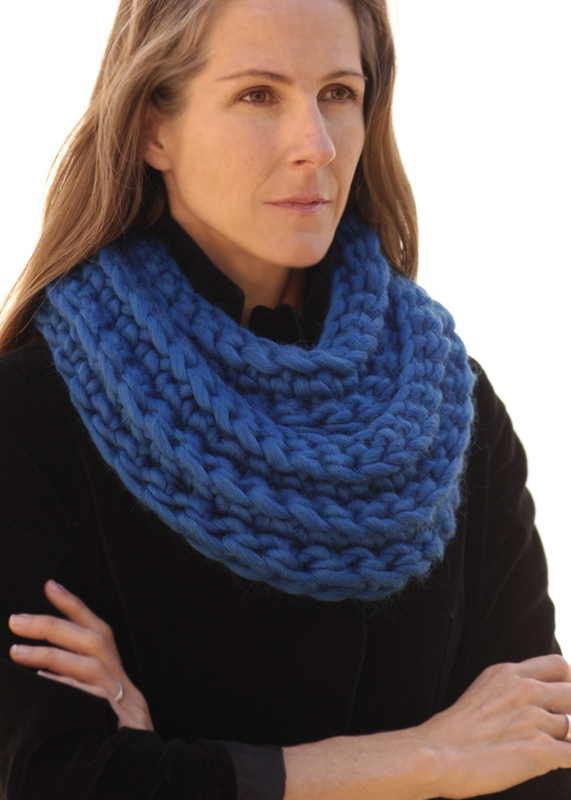 If making a shorter cowl you can get 2 cowls out of 1 skein of Magnum. Well, I've finally done it, taken the plunge and joined Facebook. You can find me here. Stop by and say hello! These will make great stocking stuffers!!! I love your work! What do you mean by chain 62 "on the tight side"? Thanks Loren! Usually I try to keep my starting chain on the loose side but if you can make the starting chain tighter than usual it will pull the piece in. It's not necessary to work the starting chain this way but I liked the way it made the piece lay. Wonderful pattern! 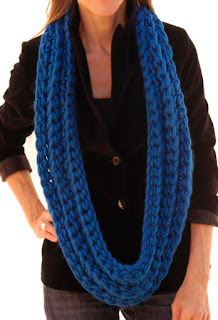 How many base stitches did you use to make the infinity scarf?